The Bay-Lake Regional Planning Commission will again be offering its Technical Assistance Grant Program for 2018. The program will provide an opportunity to receive free professional planning assistance on small-scale plans or projects for member communities and counties. The Commission is now accepting applications for technical assistance projects under this program. 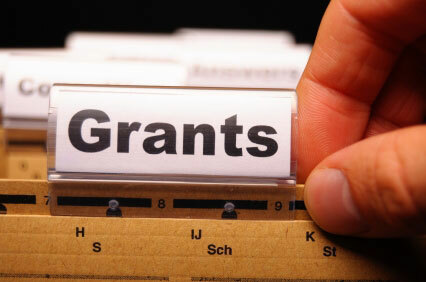 An application for the Technical Assistance Program is available on the Commission's website. Applications are due to the Commission no later than 4:00 PM on Friday, April 13, 2018. We hope this program continues to be a value-added benefit to the member counties and communities of the Bay-Lake Regional Planning Commission. Please Angela Kowalzek-Adrians if you have any questions or comments. The Bay-Lake RPC continues to progress on the development of its Regional Bicycle and Pedestrian Plan. The bike and pedestrian facilities inventory will be finalized, while discussions with local officials and stakeholders will continue throughout 2018. We are also in the process of finalizing an interactive online Crowdsourcing survey tool that will allow us to improve the bike/pedestrian project's public engagement efforts and better gather feedback within each of the region's counties. This public input tool is expected to launch near the end of February. We will distribute a separate newsletter announcing when the Crowdsourcing survey is available to the public. As we continue to develop the physical version of the bike and pedestrian plan, an additional task for this project is to establish an ArcGIS Online Story Map to complement the document. The online Story Map will present the plan as a live version of the document with an interactive user-friendly interface. This will allow current bicycle and pedestrian issues to be addressed efficiently, and will provide users with ease of access to information regarding trails, suitable on-road facilities, connectivity opportunities, etc. The Regional Bicycle and Pedestrian Plan is funded through WisDOT's Transportation Alternatives Program (TAP), with the goal of increasing transportation opportunities through identifying, and planning for, bicycle-pedestrian trails, on-road accommodations, sidewalks, etc. throughout northeast Wisconsin. The project is anticipated to be completed by the end of 2018. For more information about this project, view our brochure , visit our website , or contact Brandon Robinson or Madison Smith. A housing study is currently underway in Marinette County, and is set to be available April 2018. A portion of this study will outline an implementation strategy, which will allow this document to be used by local governments in identifying housing issues and solutions, enabling strategic decisions to be made related to the Marinette County housing market, future housing and policy decisions, and/or to secure financing for various housing programs and projects. Additionally, the study is aimed to be used by local entities to attract and encourage residential development activity and investment. If you would like more information on this project, please contact Madison Smith. After working with public and private stakeholders; the Economic Development Advisory Committee (EDAC) met in December and January to perform a SWOT exercise for the region. Bay-Lake RPC has collaboratively established regional goals and strategies, which will help guide a resilient, sustainable, and innovative region. The final draft of the CEDS report will be posted this month on the BLRPC website for comment and review. We greatly value the contribution of time, knowledge, and input from all stakeholders. If you would have questions, please contact Madison Smith or Elizabeth Runge . Correct apportionment of seats in the House of Representatives. Adequate information for use in redistricting of congressional and legislative districts, school districts and voting precincts. Distribution of federal funding among tribal, state and local governments. 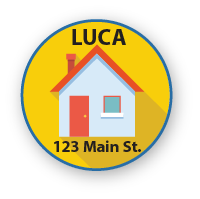 The Bay-Lake RPC is here to assist your community with any of the aspects of the 2020 LUCA process, whether it is answering questions, helping set up the software and data on your computer, or performing and completing the address review. If you have any questions or need assistance, please feel free to contact Joshua Schedler. A Capital Improvement Program (CIP) is a reference document important for communities that identifies expenditures for the upcoming year, and five years beyond the initial year, across all municipal departments. A CIP is beneficial as it requires careful planning and prioritizing of limited community dollars. The CIP will facilitate coordination between capital needs and the community's operational budget. Furthermore, the CIP will assist in avoiding sudden changes in debt service and increases the opportunity for economic means of financing projects. If your community is in need of assistance in developing a CIP or more information, please contact Elizabeth Runge. Amendment #2 to the 2016 Coordinated Public Transit - Human Services Transportation Plan for Sheboygan County was approved by the Sheboygan County Transportation Coordinating Committee (TCC) in January, and was submitted to the WisDOT Transit Section in late January. Preparation of this amendment was a cooperative effort between the Sheboygan County Aging and Disability Resource Center (ADRC), Shoreline Metro, and the Commission. This amendment can be found on the Commission's website. Several minor amendments to the Sheboygan Metropolitan Planning Area Transportation Improvement Program (TIP): Calendar Years 2018 - 2021 have recently been processed. The amendments impact the following portions of the TIP: transit capital items; elderly and disabled transportation operating and capital projects; bicycle and pedestrian transportation projects; and street and highway improvement projects. The financial plan component of the TIP was also amended to reflect these changes. These amendments, available on the Commission's website , have been recommended for approval by the Sheboygan MPO Technical and Policy Advisory Committees and approved by the Commission. Commission staff is also in the process of finalizing the annual transportation system performance indicator report for the Sheboygan metropolitan planning area for 2017. Once finalized, the report will be posted to the Commission's website.